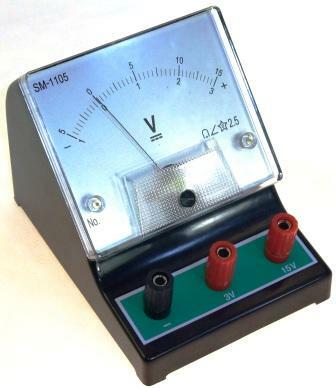 Dual range bench voltmeter with zero off set, fitted with 4mm binding posts and zero point adjustment. Scaled -1.0 to 3.0 and -5.0 to 15.0. Ideal for use in Schools or Colleges housed in sturdy case.